The council developed a campaign to position blueberries as an easy way to meet healthy lifestyle goals for the new year and beyond. The US Highbush Blueberry Council and its longtime AOR PadillaCRT developed a campaign to drive blueberry consumption by positioning blueberries as an easy way to meet healthy lifestyle goals for the new year and beyond. "Since the health message of blueberries became widespread in 2000, we’ve seen tremendous industry growth. Demand increased and production went through the roof," says the council’s executive director Mark Villata. "New Year’s provides an excellent link to our messaging that little changes in diet can make a big difference because many people commit to making changes at that time." The campaign was pegged on a sweepstakes hosted on the website, littlebluedynamos.com. Messaging was driven through social media, traditional media, and blogger outreach. "Messaging was borne from consumer research and the insight that women aged 25 to 44 needed to see blueberries as an approachable, easy way to help them lead a healthy life," explains Emily Valentine, account supervisor at PadillaCRT. 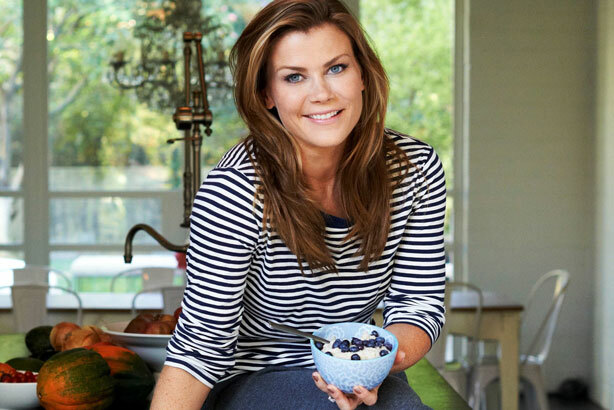 Alison Sweeney, host of NBC show The Biggest Loser, was hired as a spokesperson for the campaign. "Alison is an authentic blueberry lover and she lives the lifestyle we’re encouraging in a way that the average consumer can relate to," Valentine notes. More than 1,000 US adults were polled about New Year’s resolutions and ideas about little changes in November 2014. Results were used as news leads and in content, including an infographic on the council’s website and social channels. Outreach to traditional news, general consumer, and lifestyle media outlets began in late December. Sweeney did a media tour on January 21 with top-tier outlets in New York. The Little Changes sweepstakes was hosted from January 1 to February 16. Visitors who entered their details were eligible to win the grand prize, a trip to Los Angeles to meet Sweeney, or one of four Whole Foods and Lululemon gift cards. A $15,500 Twitter ad spend helped drive sweepstakes page traffic. The team worked with Influence Central to connect with 64 food, lifestyle, and mom bloggers, who wrote about various elements of the campaign and shared messaging with their Facebook, Twitter, Instagram, and Pinterest audiences. Bloggers were paid a small stipend to participate. Influence Central served as the moderator for a Twitter party with Sweeney in January. Campaign messaging and assets were posted weekly to the council’s social pages. Visits to littlebluedynamos.com from January through February were up 237% year over year. The sweepstakes garnered 16,759 entries, eight times the goal, and 14,602 new email opt-ins, 14 times the target. Valentine says Radian6 analysis shows share of voice in January for blueberries relative to other berries was 22.4% across Facebook, Twitter, mainstream news, online videos, comments, blogs, and forums which was 1.6% higher than 2014's average and 1.3% higher than 2015's goal. Campaign-related posts garnered more than 57 million impressions across earned and paid social channels. Twitter ads generated more than 2.2 million impressions. Six hundred people attended the January 7 Twitter party, three times the attendance for a September 2014 back-to-school themed Twitter party. Blogger posts generated about 4.6 million impressions. Fifteen earned media stories ran in outlets such as USA Today and Cosmopolitan.com. The team is preparing for the 100th anniversary in 2016 of the first commercial sales of Highbush blueberries. The celebration kicks off this summer through social outreach and partnerships with food trucks, the National Museum of American History, and other organizations. PRWeek’s View: The team did a great job leveraging the natural alignment of New Year’s resolutions with the Little Changes messaging. The combination of rich assets and a high-profile, yet relatable spokesperson in The Biggest Loser host Alison Sweeney was excellent in terms of driving traction. Working with Influence Central to reach bloggers, who were truly interested in the subject matter, really seems to have paid off in terms of reach and engagement.